Representatives from Bondholders Derby Civic Society and Derby City Council have unveiled the latest blue plaque in Derby at fellow Bondholder Connect Derby's Marble Hall development. The iconic building has recently undergone a £4million restoration project and received the plaque to commemorate Sir Henry Royce and Charles Rolls and their decision to manufacture Rolls-Royce engines in Derby. 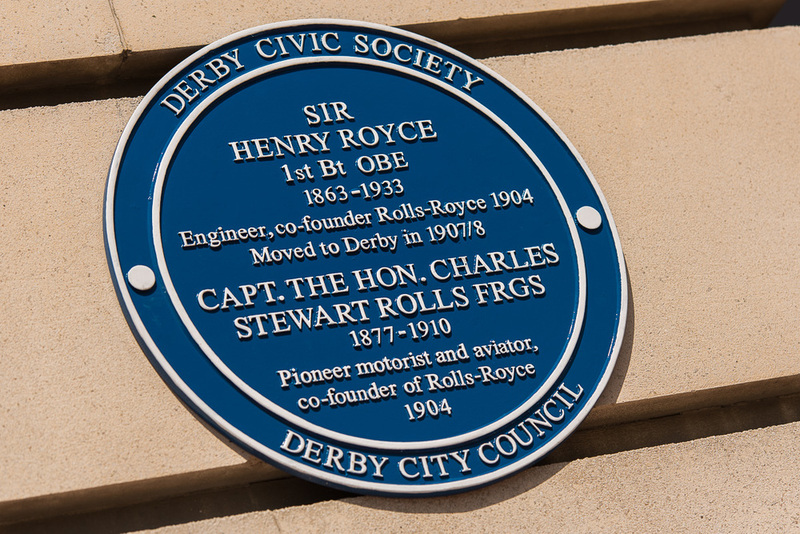 Alan Grimadell, Chairman of Derby Civic Society, said: "Everyone connected with Derby Civic Society is delighted that a blue plaque has been launched at Marble Hall in memory of Sir Henry Royce and Charles Rolls. Sir Henry was a man whose decision to base his business in Derby had massive benefits for the wider economy in terms of jobs and played a pivotal role in our victory in the Second World War." Councillor Sara Bolton, Cabinet Member of Derby City Council, commented: "I very much support this project which recognises and celebrates our rich heritage and the people behind making Derby what it is today." The blue plaque scheme forms part of Derby City Council's and Derby Civic Society's partnership to celebrate eminent people with strong links to the city. Blue plaques are erected on a building or site to mark the connection between that location and the notable individual.